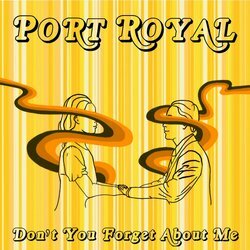 United by a shared love of the attitude, aesthetic, and music of classic rock and roll culture, Brisbane’s Port Royal have been making waves in the local scene since mid-2015. Their mind-melting mix of electric live performances and blend of iconic 70’s rock influences complemented by contemporary and relatable lyrics makes for an unmistakably catchy sound that will have you singing along with every chorus. Heading into 2019, the band will release their latest single Don’t You Forget About Me and plan to embark on their biggest national tour to date. The song is a summer indie pop tune and somewhat signifies diversity from their traditional song writing roots.